Do kids eating sugary foods because that is what they crave or because that is what they're fed? It's like the chicken and the egg. In my experience it's not the child, it's what their fed. So feed them an egg! My time at school promoting and educating children, as well as their families, about the importance of healthy eating has shown me that kids truly want to be healthy. If you give them vegetables and tell them how good they are for them, they literally eat it all up. Now is the perfect time to start talking with your child about eating healthy food. You may be surprise by their...insights. "Is broccoli healthy?" Yes "Good, I like broccoli." "Coach, (whispers) I drink white milk every day for lunch. No, soda." There are many more. Some of the best ones actually come from parents that let me know they were "chastised" by their child for eating unhealthy. They then proceed to ask me questions about eating healthy. They want to know and tell their child just as much as I do. Here are two excellent ways to teach your child to eat healthier. Go Foods, Slow Foods, & WHOA Foods- This concept came to me through the CATCH Texas program. It teaches children to learn, identify, and eat healthier food choices more often that unhealthy choices. Go Foods are high in nutrition, low-calories, and the least processed foods. Slow Foods are more processed, less nutritious, and higher in fat than Go Foods. WHOA Foods are highly processed, have high fat content, and little to no nutritional value. The idea is to teach children to eat mostly Go Foods, fewer Slow Foods, and even fewer WHOA Foods. This has proven effective for my kids at school. They can tell you what category each belong in and always seem to make the healthiest food choice after they have to label it. Nutrition Labels- These are on ALL the food we eat. Unless you eat produce which I would strongly recommend. Talk about some Go Foods! The idea is to empower kids to be able to make a healthy choice when they have to. Look at serving size, calories, total fat, and sodium. These are great indicators of a healthy or unhealthy food. Also, show kids how many vitamins the foods contain like fiber, iron, vitamin A,B,C, etc. The last is to check the ingredient list. How long is it? Can you read all the names? *Hint*- If it has more than five names or if sugar is in the top three it probably isn't super healthy. 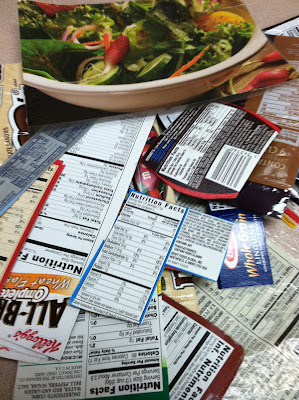 When we use nutrition labels the kids compare with their friends to see whose food is healthier. The kid with the raw vegetable salad picture always wins! Don't let your crux for feeding your child unhealthy food be "that is all they eat." Teach them the importance of eating healthy and what that looks like. I hope they surprise with how important it will be for them as well. 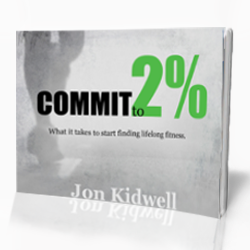 For a list of healthy kid friendly snacks (also adult friendly) 'Like' Jon Kidwell | Finding Fit on Facebook or follow me on Twitter @Jon_Kidwell. I will be posting several lists and pictures over the next 3 days. Which method are you going to use? Go Foods, Nutrition Labels, or both?